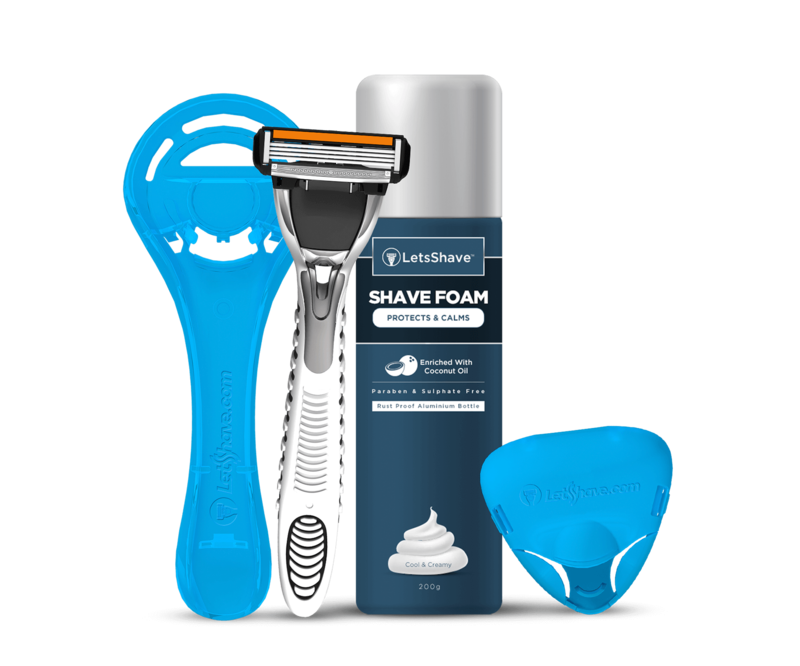 LetsShave Pace 4 Kit comprises of a Pace 4 Razor with Free Razor stand, Shave Foam and Razor Cap. 4-Sharp blades cartridge with anti-clogging technology glides across skin to deliver a close, comfortable shave. Thus, hair won’t clog the razor blades. Moisturizing band enriched with Chamomile, Lavender oil & Vitamin E allows blades to glide easily over skin and protects against razor burns.